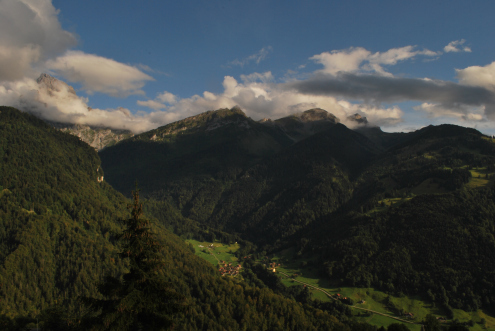 I’ve taken myself and my camera out to the Swiss Alps this summer and have caught a variety of shots which tell the story quite well of my trip. 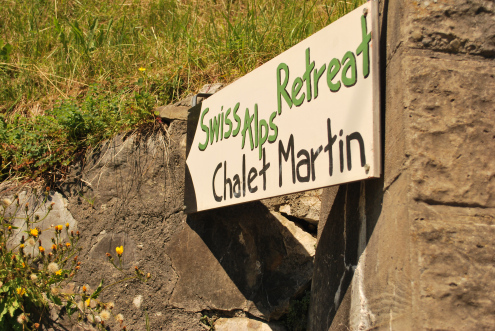 On your way to Chalet Martin, this sign will greet you at the bottom of the hill, once at your future home you will be happy you took the effort to get the Train, then Cog-grail then the short walk up the steep hill. Promise. The view from the attic bedrooms is spectacular as you get numerous skylight windows to peep through and being so high in the clouds, when it thunders, you most definitely will hear it loud and clear! 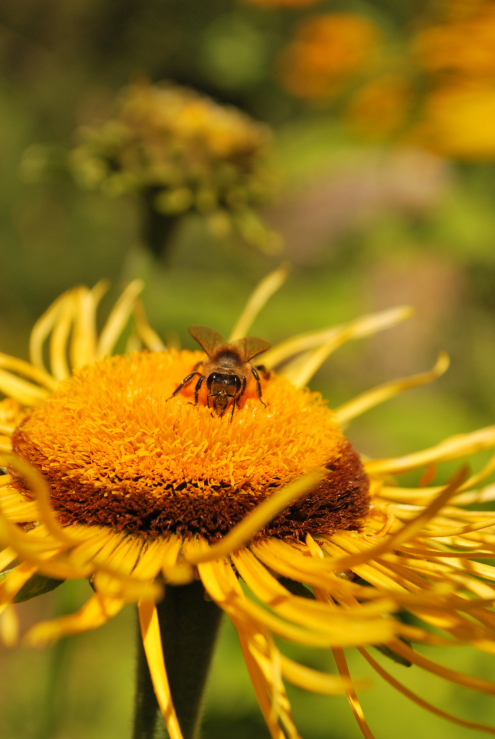 There is a variety of wildlife out in the Swiss Alps, from Bees to Wolves that have been re-released. Marmots and Mountain Goats join the list too. Every time you take a trip out, even if it’s to the BBQ you will always be greeted with something different, mainly the Lizards who love to bask in the sun. The walks around the area can take you pretty much where ever you need to go, you can walk for a few hours to full on hikes in the mountains for days. Popular places to walk to from Gryon are to Solalex, down the far end of the Valley or up to Le Croix which requires you to walk past the bakery and grab a corn bread sandwich. That is a must! The traditional Swiss food is a Fondue, be it chocolate or cheese. 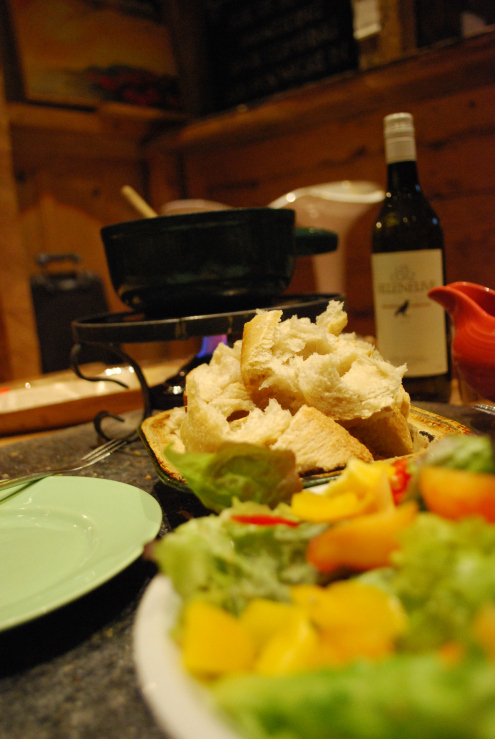 We had many fondue dinners where Raclette and Greyere were melted for our consumption. Mixed with a local white wine and freshly baked bread that day, accompanied with a salad picked from the garden and a homemade dressing. 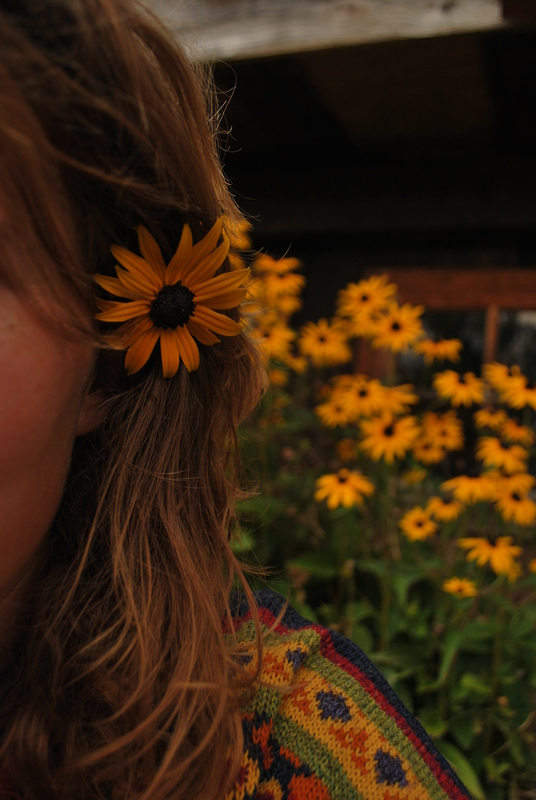 The summer’s sun has helped the garden flourish, the flowers are picked as decor all around the hostel. The bright colour compliments the different shaded wood in the Chalet. The ummer spent here I feel will be different compared to the Winter, atmosphere and aesthetically, let’s hope I get the chance to photograph it then too.